The design firm “AMT” celebrated its 15th anniversary in 2009. From the earliest days of its establishment until the present time it employs experts from leading design institutes of the USSR, that are experienced in designing and surveying critical objects of the national economy – nuclear and thermal power plants, chemical plants, plants of precision and heavy engineering, power lines, food industry plants, etc. These properties are located throughoutUkraine, andRussia,MoldovaandArmenia. Young professionals from theKharkovnational academy of municipal economy are constantly coming to work in the firm. The succession of generations and the sharing of the priceless design and research experience are not interrupted in our company. Therefore, our experts can solve any complex engineering problems, are able to design buildings and structures on the soils of different categories, in areas with seismicity more than 6 points. Associate professors, Candidates of Science, holders of a master’s degree, workers of our company have their own development projects (that were proven and tested under production conditions) in the field of chemical grouting and improving the ecological state of soils that were contaminated with chemically active substances. The third part of our employees has advanced degrees and titles. We execute the design work “on turnkey basis”, with the concurrence of the official government agencies, to obtain a permission for construction and introduction into service. Since 2005, the “AMT” is a permanent partner in the design of international concern PAO “SUN InBev” throughoutUkraine. 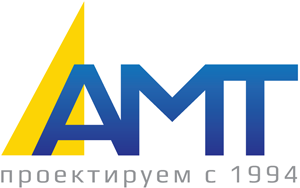 East-Ukrainian design firm “AMT” LLC – is a guarantee of quality, reliability, efficiency and professionalism. Working with us you will be convinced of it.